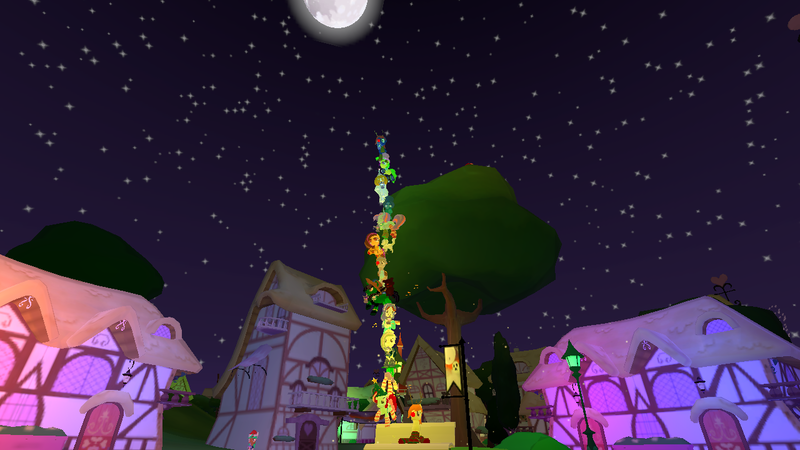 A lot of other people seem to be doing it, so I figured I might as well do it too. 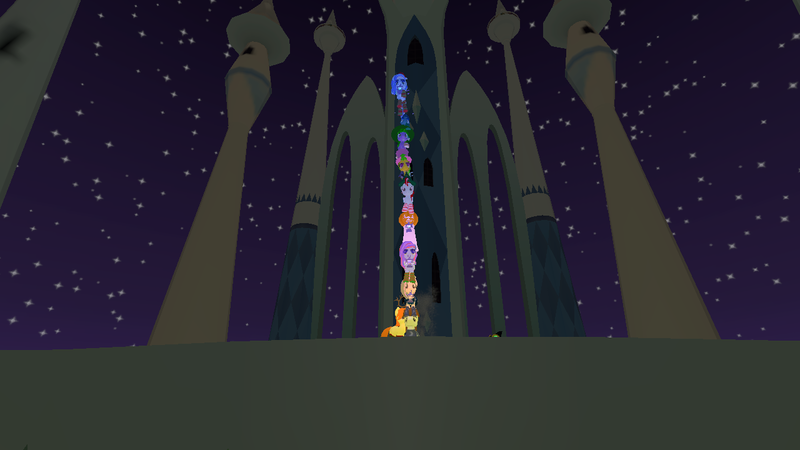 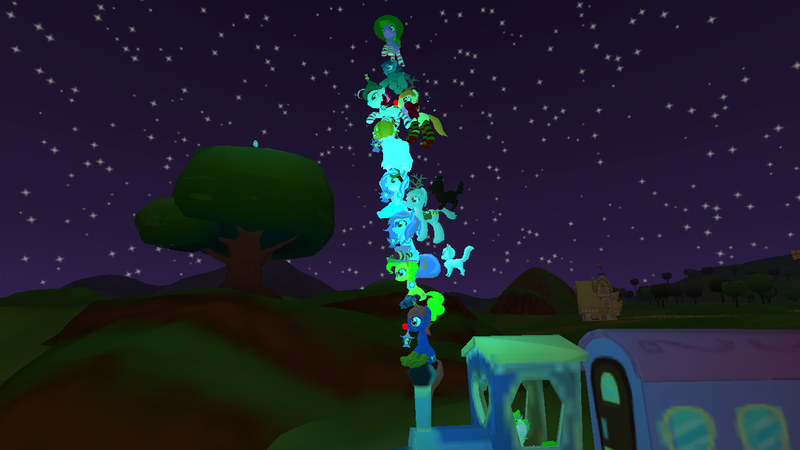 Today there was a pony tower! 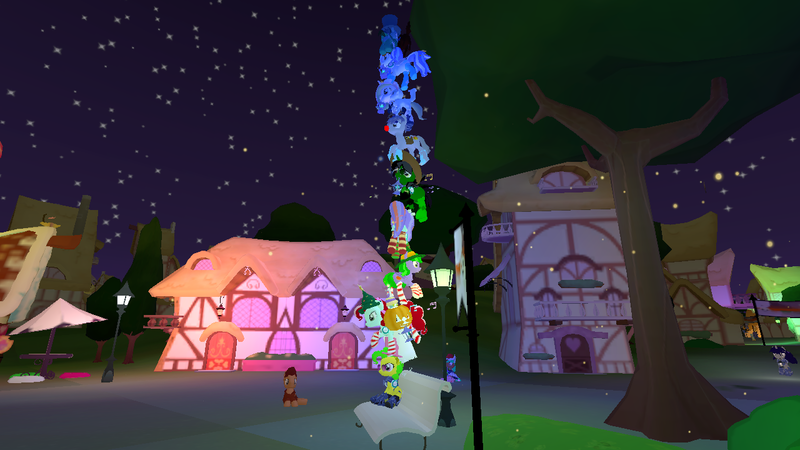 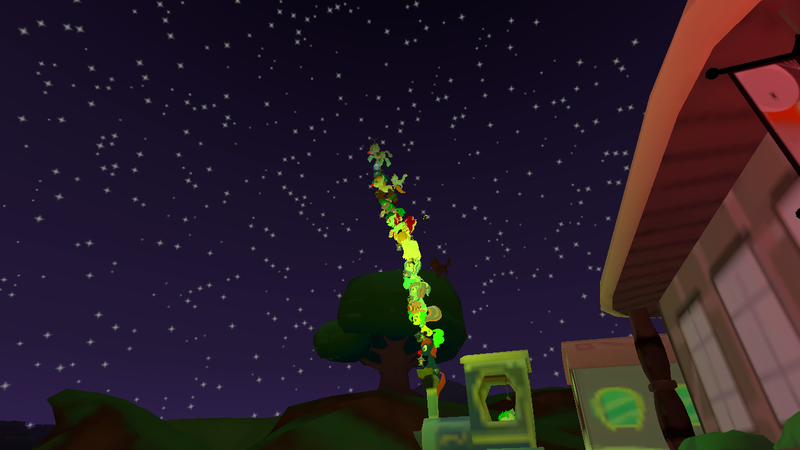 A lot of ponies were hanging out in Ponydale (18 to be exact), and a pony tower was suddenly born on the bench outside SCC. 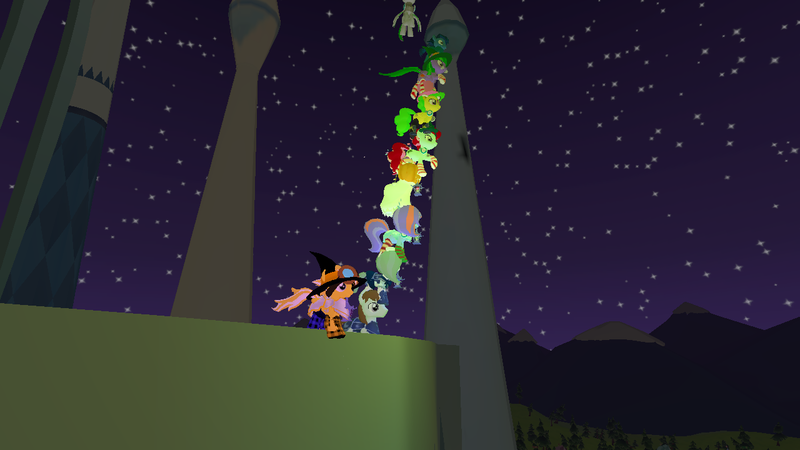 And finally we ended at the CK Castle. 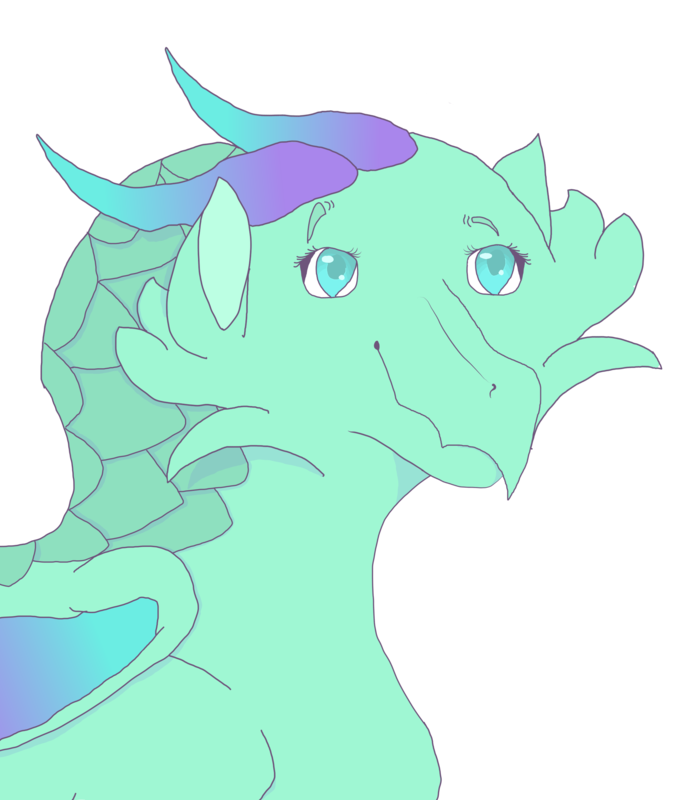 I love my OC's Sunny Sandbar, and Sky Storm!